Impact Wrestling superstar Jordynne Grace will face one of the biggest challenges of her young career this March, when “Big Mamma Pump” faces off against another legitimate badass — former WWE Women’s Champion and five-time TNA Knockouts Champion Lisa Marie Varon (aka Victoria/Tara). 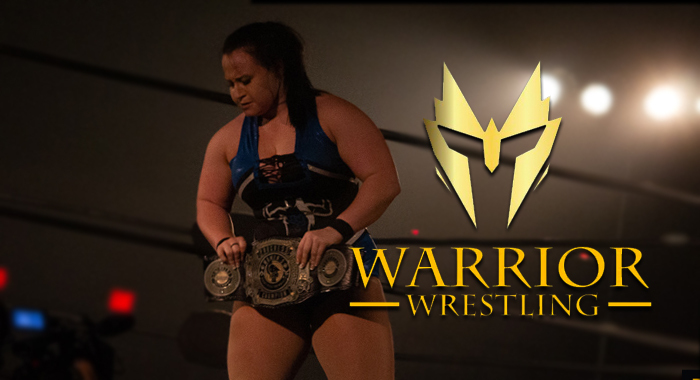 Grace has made a name for herself at previous Warrior Wrestling events in Chicago, infamously scrapping with Tessa Blanchard on multiple occasions, and most recently defeating local stand-out Kylie Rae to retain her PROGRESS Women’s Championship. Also scheduled for Warrior Wrestling IV is a huge six-man tag team match that will see all three members of SoCal Uncensored — Christopher Daniels, Frankie Kazarian and Scorpio Sky — squaring off against the high-flying trio of Rich Swann, Andrew Everrett and Sammy Guevara.